The Washington County Children's Justice Center is holding their second annual Dancing with the Community Stars! The Children's Justice Center is a wonderful center that provides a safe, home like environment for children who suffer abuse to be interviewed by law enforcement. 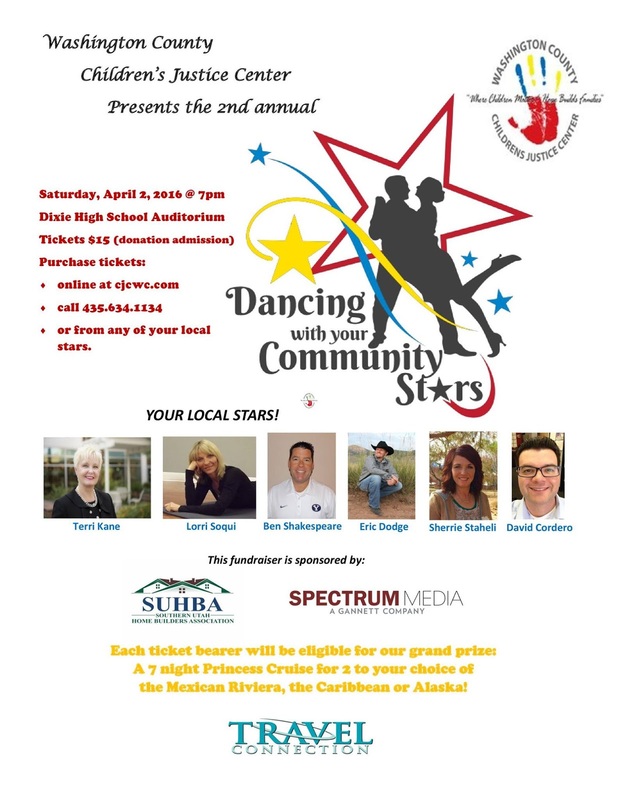 This Dancing with the Community Stars fundraiser will help provide them with the funds that they need to keep the facility running.